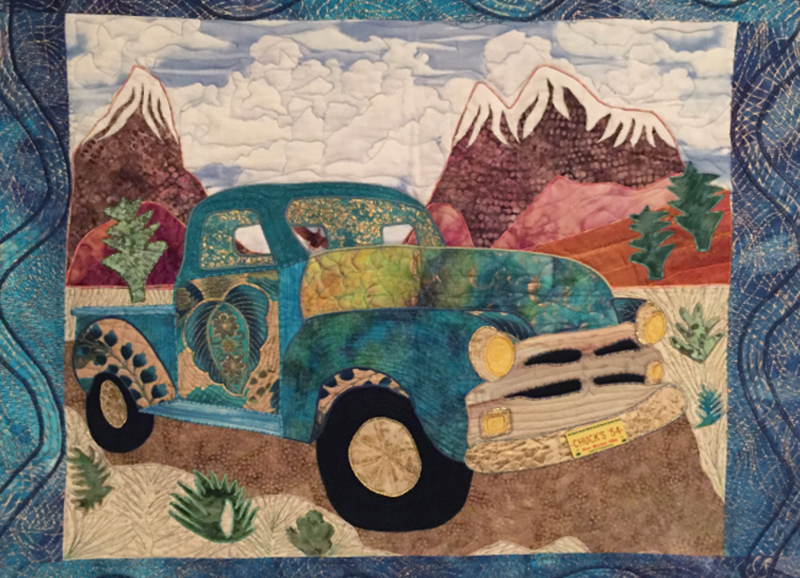 Rock Art Quilts, located in the county of Los Alamos, New Mexico provides computerized long arm quilting services specializing in edge to edge quilting. We use a Bernina Q-24 and the Q-Matic computer system. 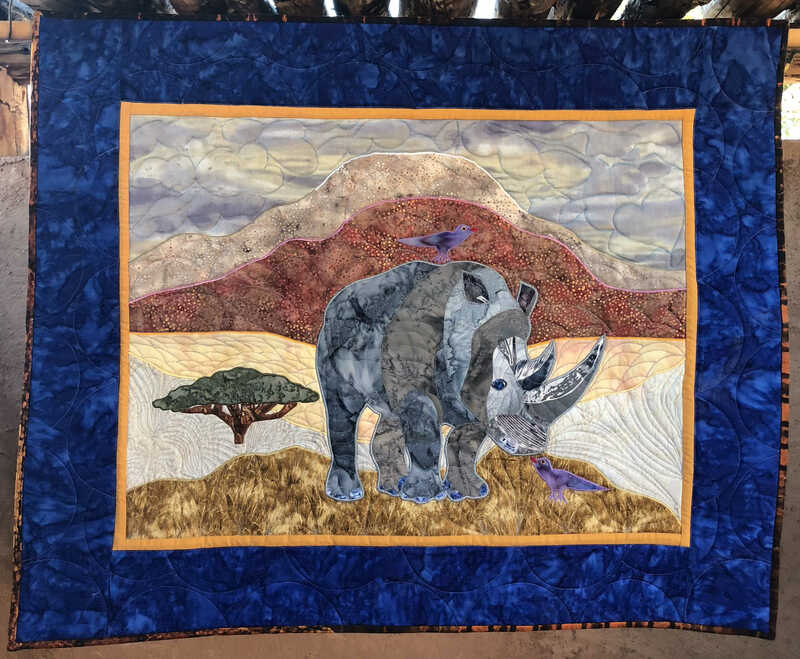 We have a variety of designs to choose from and we would love to collaborate with you to choose the perfect combination of thread colors and image designs to bring your quilting vision to life. No quilt is too small with the minimum charge of $50. We can accommodate up to 105 inch widths. Quilting prices start at two cents per square inch for all over designs with a beautiful edge to edge effect. Prices increase depending on the density and complexity of the design. To view work samples, please visit the “Shop” menu. Quilt top and backing must be clean, fully assembled, pressed, and flat. 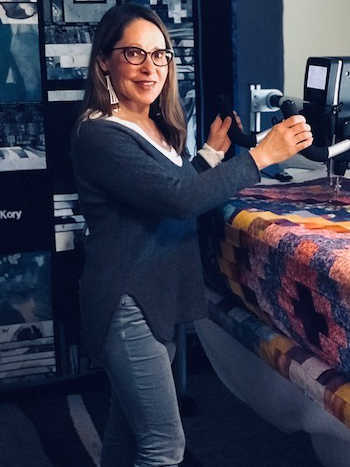 Backing and batting must extend an additional 5 inches on each side beyond the quilt top (quilts failing to meet this requirement will not be accepted). Do not baste or layer your quilts. Maximum Quilt Top width machine can accommodate is 105 inches. Maximum Batting and Backing should be 115 inches (If trimming is required, a minimum $10 charge/side will apply). Do not use adhesives to baste your quilts (these quilts will not be accepted). Clearly indicate the desired orientation of quilt and backing. All seams must be secured. Remove all loose threads and/or pet hair from quilt top. Your quilt should be as square as possible (If additional trimming is required due to uneven sides and/or excess batting/backing, a minimum $10 charge/side will apply). 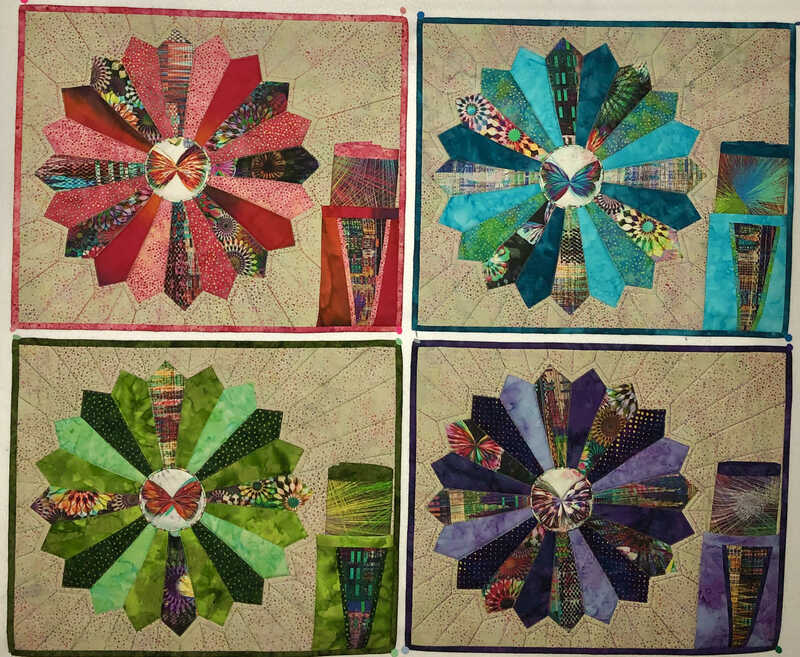 If quilts have not been adequately prepared, they will either not be accepted at the appointment, or returned to customer if shipped (shipping charges will apply). Charges will apply if customer wants RockArtQuilts to make the required modifications. We do not quilt fleece. Binding services are not available. There is a minimum charge of $50 per item (it takes time to load and unload items into machines). For local consults, prepare to have 30-60 minutes available. Selected to tour the USA.